With the reality of value-based marketing, cattlemen using Chiangus are in the "driver's seat" as packers develop pricing systems that reward lean, high quality carcasses. 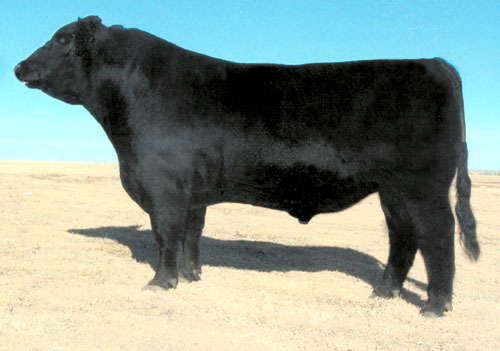 The blend of the lean endomorphic Italian cattle with American Angus stock was immediately recognized for the optimum blend of modern carcass traits with traditional Angus material traits. Chiangus bulls can go anywhere, on any country, in any climate and do an exceptional job. They mature early and express a high degree of libido. They are athletic, aggressive breeders that travel, locate the cows and get them bred. Best of all, Chiangus are backed with hard data pertaining to performance and production that eliminates the guesswork when a producer wants to know what he can expect from the bulls or replacement females he is buying.